Have you received an Official Notification or Notice to Correct Violation letter indicating you are in violation of the Mandatory Recycling Ordinance? Not sure how to correct the violation to avoid possible citation and fine? Each potential violation is described below and includes specific details about how to correct the violation. Please refer to your letter to identify which violation(s) you need to correct. If you need another copy of your letter, please complete the Contact Us form. As a reminder, recycling rules vary by city. You may not be required to comply with all of the Ordinance requirements. Click here to see the rules in your city. If you’ve received an Administration Citation, there are two options available to you: (1) You may pay the fine and correct any violations, or (2) You may appeal the citation. Note: if you choose to appeal the citation, you will be required to put on deposit the amount of the fine shown on your citation as a bond. If you win the appeal, the bond amount on deposit will be returned to you. If you lose the appeal, the bond amount on deposit will be forfeited to pay the fine. Learn more. 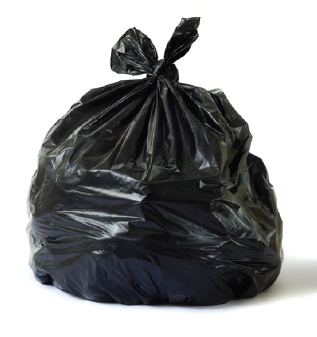 Upon inspection of your business, covered materials were found in your garbage container(s). Covered materials include: cardboard, newspaper, white paper, mixed recyclable paper, recyclable glass food and beverage containers, metal (aluminum and steel) food and beverage containers, PET (#1) and HDPE (#2) plastic bottles. Effective July 1, 2014, in certain jurisdictions, food scraps and compostable paper (organics) is added to the list of covered materials and as of January 1, 2015, enforcement for improper disposal of these materials has began. Visit Rules by City to find out the requirements in your city. To correct the “Disposal of Covered Materials” violation(s) you will need to make sure Covered Materials (see list above) are not disposed of in the garbage. Compliance will be determined upon re-inspection. To reduce the likelihood of disposing of Covered Materials in the garbage, post prominent signs on or near recycling, organics and garbage containers and be sure employees and tenant businesses are aware of the requirement to properly sort their waste (customizable notification letters available for download: businesses | multi-family properties). For additional tips, view the Compliance Guide for Businesses or complete this form to request help from our Business Assistance Team. To correct the “Garbage in Recycling Containers” violation, ensure that garbage is not placed in the recycling containers that are picked up by your service provider. For more information about what is considered garbage in your City, visit the Business Support Materials page and click on the link to your city under the Signage Information and Resources section. Or, contact your City or Hauler for clarifications about what goes where. For additional tips view the Compliance Guide for Businesses or complete this form to request help from our Business Assistance Team. Compliance will be determined upon re-inspection. To correct the “Garbage in Organics Containers” violation, ensure that garbage or recyclable covered materials are not placed in the food scraps/organics containers that are picked up by your service provider. Educate your employees of how to properly separate materials and what are the acceptable materials in your organics container. Upon review of service records and/or information gathered from inspections, we were unable to determine if recycling services are being provided at this location. If it is the case that no recycling services are being provided, this is a violation of the ordinance and your employees and/or tenants, do not have access to recycling containers for proper separation of Covered Materials (recyclables). Please see the scenarios below and follow the steps as appropriate for your site. A. We have recycling service; please update your records. It is possible that our records are out of date or in error, in which case we welcome updated information. Please provide documentation of recycling service. See instructions below. B. We don’t have recycling service yet but we would like to start service to comply with the Ordinance. 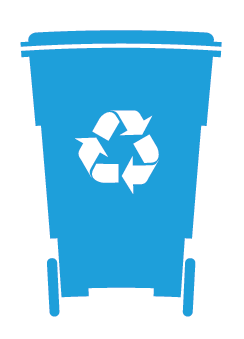 Contact your service provider to start recycling collection service and provide documentation to ACWMA. See instructions below. Obtain a copy of a recent invoice or request a letter from your service provider to document your recycling service. The invoice or letter must include the service address for which the Official Notification was received and indicate the number of recycling carts and/or bins and collection frequency (e.g. one 2 yard bin collected 1 x/week) being provided at that location. Submit the documentation to ACWMA via the instructions on the Submit Documentation page or fax to (510) 893-2308 or mail to: ACWMA, Attention: Enforcement Officer, 1537 Webster Street, Oakland, CA 94612. Documentation may be submitted as a clear scan or image of the invoice or letter – legible photos of the document are accepted. Please note that if you use a recycling or organics service provider other than or in addition to a franchised hauler or recyclables are taken to a recycling facility via self-haul or back-haul, you will need to complete a Certification of Recycling Service form, as described on the Submit Documentation page. Note: Recycling service documentation will be reviewed by the Enforcement Officer or a designee to determine compliance. C. We take our source separated Covered Materials (recyclables) to a facility or facilities that recycle the Covered Materials (either by self-hauling or back-hauling). You will need to complete a Certification of Recycling Service form, as described on the Submit Documentation page, to certify under that your business self-hauls or back-hauls Covered Materials [cardboard, newspaper, white paper, mixed recyclable paper, recyclable glass food and beverage containers, metal (aluminum and steel) food and beverage containers, PET (#1) and HDPE (#2)] for recycling. 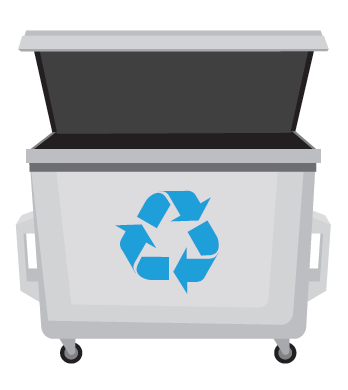 Make sure your recycling container(s) are well labeled or color-coded and at least within eye shot of the garbage containers so that upon re-inspection an inspector will be able to easily identify the container(s) and collection service. If you already have a recycling container(s) and our inspector failed to see it because it was not located adjacent to the garbage container(s), re-locate the container so it is “co-located” with the garbage container(s). Compliance will be determined upon re-inspection. Upon review of service records and/or information gathered from inspections, we were unable to determine if organics collection services (for food scraps and food-soiled paper) are being provided at this location. If it is the case that no organics services are being provided, this is a violation of the Ordinance. A. We have organics service; please update your records. It is possible that our records are out of date or in error in which case we welcome updated information. Please provide documentation of organics service. See instructions below. B. We don’t have organics service yet but we would like to start service to comply with the Ordinance. Contact your service provider to start organics collection service and provide documentation to ACWMA. See instructions below. Obtain a copy of a recent invoice or request a letter from your service provider to document your organics service. The invoice or letter must include the service address for which the Official Notification was received and indicate the number of organics carts and/or bins and collection frequency (e.g. one 2 yard bin collected 1 x/week) being provided at that location. Submit the documentation to ACWMA via the online Document Submission form or fax to (510) 893-2308 or mail to: ACWMA, Attention: Enforcement Officer, 1537 Webster Street, Oakland, CA 94612. Documentation may be submitted as a clear scan or image of the invoice or letter – legible photos of the document are accepted. Please note that if you use a recycling or organics service provider other than or in addition to a franchised hauler or recyclables are taken to a recycling facility via self-haul or back-haul, you will need to complete a Certification of Recycling Service form, as described on the Submit Documentation page. Note: Organics service documentation will be reviewed by the Enforcement Officer or a designee to determine compliance. C. We don’t have organics service, nor do we generate significant quantities of organics. If you received a violation for Failure to Provide Organics Service and you did not receive a violation for Disposal of Covered Materials – Organics, our records may list your property as a high organics generating business (such as restaurant, grocery store, or food processor). If your business does not generate significant quantities* of organics, you may request that our records be updated using the online Contact Us form or by leaving a message at (510) 891-6575. 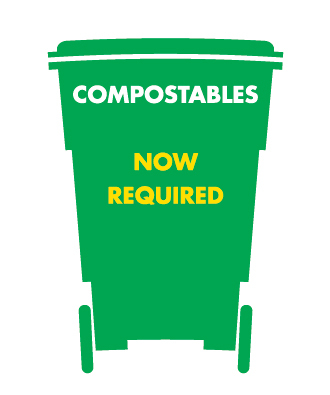 Note: If at any time your business generates significant quantities of organics, you will still be required to subscribe to organics collection service and keep compostables out of the garbage even if your request is approved and you are no longer designated as a high organics generating business. If upon inspection you are found to have organics in the garbage, you will be subject to violations for Failure to Provide Organics Service and Disposal of Covered Materials – Organics. * You are considered to generate a significant quantity of organics if you meet the following thresholds in one or more of your garbage bins/carts: in a garbage bin – 20 gallons (four 5-gal buckets) or more organics; in a garbage cart – 10 gallons (two 5-gal buckets) or more organics. D. We take our source separated Covered Materials (organics) to a facility or facilities that composts the Covered Materials (either by self-hauling or back-hauling). You will need to complete a Certification of Recycling Service form, as described on the Submit Documentation page, to certify under that your business self-hauls or back-hauls Covered Materials [cardboard, newspaper, white paper, mixed recyclable paper, recyclable glass food and beverage containers, metal (aluminum and steel) food and beverage containers, PET (#1) and HDPE (#2)] for recycling. Make sure your organics container(s) are well labeled or color-coded and at least within eye shot of the garbage containers so that upon re-inspection an inspector will be able to easily identify the container(s) and collection service. If you already have an organics container(s) and our inspector failed to see it because it was not located adjacent to the garbage container(s), re-locate the container so it is “co-located” with the garbage container(s). Compliance will be determined upon re-inspection. Upon inspection of your business, your recycling container(s) was/were filled to capacity AND Covered Materials were found in your garbage container(s). This indicates your recycling service is insufficient to capture all of the recyclables generated at your property. To correct the violation for insufficient recycling service you will need to obtain additional recycling service from your provider. This can be done by increasing the frequency of collection (e.g. going from one day per week pick-up of the recycling container to two days per week collection), by increasing the size of your container, or adding additional containers. A sufficient level of recycling service is typically at least 25% of the solid waste service provided, however, more recycling service may be needed for some business types. For example, a property with 6 cubic yards of weekly garbage service should have at least 2 cubic yards of recycling (2 yards are 25% of 8 total yards of service). Contact your service provider to request additional recycling service. Upon inspection of your business, your organics container(s) was/were filled to capacity AND organics Covered Materials (food scraps and/or compostable paper) were found in your garbage container(s). This indicates your organics service is insufficient to capture all of the organics generated at your property. To correct the violation for insufficient organics service you will need to obtain additional organics service from your provider. This can be done by increasing the frequency of collection (e.g. 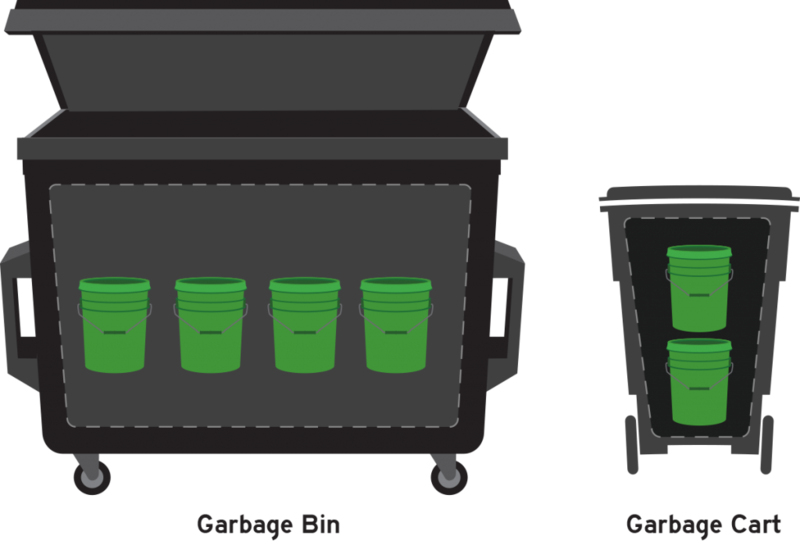 going from one day per week pick-up of the recycling container to two days per week collection), by increasing the size of your container, or adding additional containers. Upon review of your records, your business or multi-family was not able to provide evidence that tenants, employees, and contractors were informed of the Mandatory Recycling Ordinance at least once a year and no later than 14 days after move-in and no less than 14 days prior to move-out. To correct this violation, notify your employees, tenants (including business tenants), and contractors of the requirement to comply with the Mandatory Recycling Ordinance. Include in the notification information about where recycling, organics (if required in your jurisdiction), and garbage bins are located and how to properly sort recyclables and organics from the garbage. Additionally, this notification must be given to tenants at least 14 days after move-in and no less than 14 days prior to move-out, unless a tenant does not provide 14 or more days notice before leaving. Please keep record of notifications to employees, tenants, and contractors so that upon request you can provide proof of annual notifications. If you received a Notice to Correct Violation or an Administrative Citation that requires you to provide evidence that demonstrates educational materials have been provided to tenants, employees and contractors, you may do so via the online Submit Documentation form, by fax to (510) 893-2308 or mail to: ACWMA, Attention: Enforcement Officer, 1537 Webster Street, Oakland, CA 94612. They must be the actual or an electronic version of the materials, the date(s) distributed, and to whom (e.g. tenants, janitorial and maintenance staff or contractors, etc). 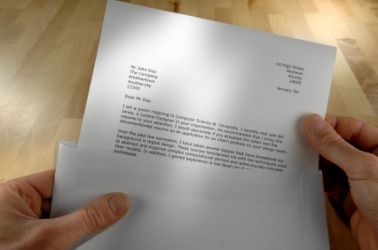 Customizable notification letters available for download: businesses | multi-family properties. 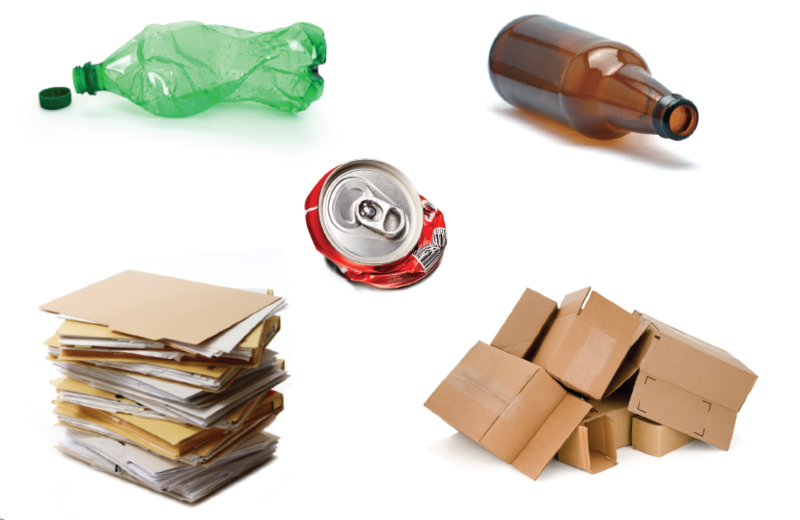 Using pictures or visual images of recyclables and organics helps employees and tenants correctly sort their waste.